Ulefone’s VRKAM is a 360 camera accessory for Android phones (see preview here). Check out this hands-on demo of the Ulefone VRKAM from Mobile World Congress thanks to Collect360! 360 cameras that attach to smartphones are one of the hot trends for 2017. 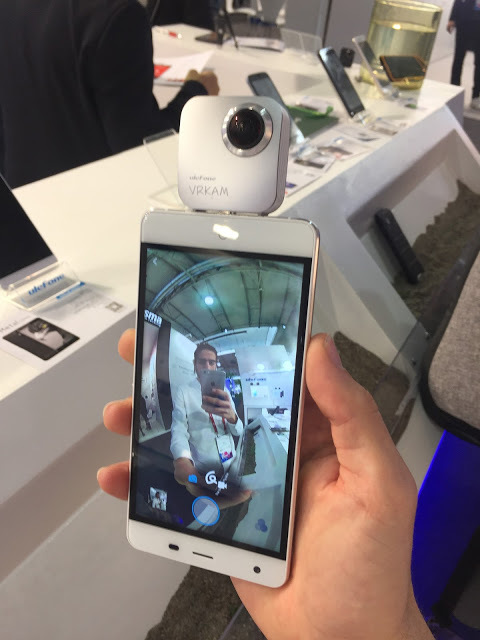 Ulefone VRKAM is one such 360 camera accessory, made for Android phones. 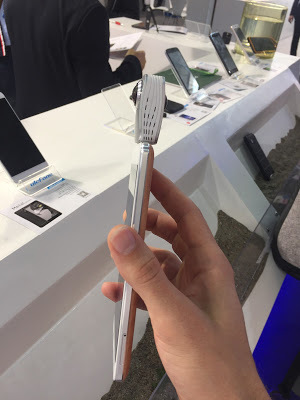 Oliver Pecha of Collect 360 checked out the Ulefone VRKAM at Mobile World Congress. Oliver said the VRKAM was about the same thickness as that of the Insta360 Nano. He was particularly impressed with its responsiveness. Photos were taken instantly, without any camera lag. It appears to have in-camera stitching. According to the representatives, the VRKAM would be around $100. If that’s indeed the price in the US, it would be one of the lowest priced 360 cameras. VRKAM competes with the Insta360 Nano for iPhone (reviewed here), which was the first 360 camera accessory for a smartphone, and Insta360 Air for Android (hands-on first impressions here). Thank you very much to Oliver Pecha of Collect 360 for sharing this video! Collect 360 is a free 360 video editing app for Android, which enables you to create a video montage, add watermarks, or add music.